In a blog post, NASA said that it may never again have contact with the Opportunity rover, after the craft got caught up in a Martian dust storm in the middle of June. Good also cautioned that no one will know how the Opportunity rover is doing “until it speaks,” but added that the team behind it is optimistic, after performing tests on its batteries before the storm hit its location. Good added that the dust is less of a problem. Previous storms which “plastered dust on the camera lenses,” saw most of the dust eventually shed off. “Any remaining dust can be calibrated out,” he wrote. The Opportunity rover, which was initially meant to only be on the Red Planet for a 90-day mission, has made several groundbreaking discoveries throughout its now roughly 15-year trip, initially leaving Earth on July 7, 2003. So far, it has detected signs of water, explored the insides of two craters and completed a marathon — the first vehicle to do so on another planet. 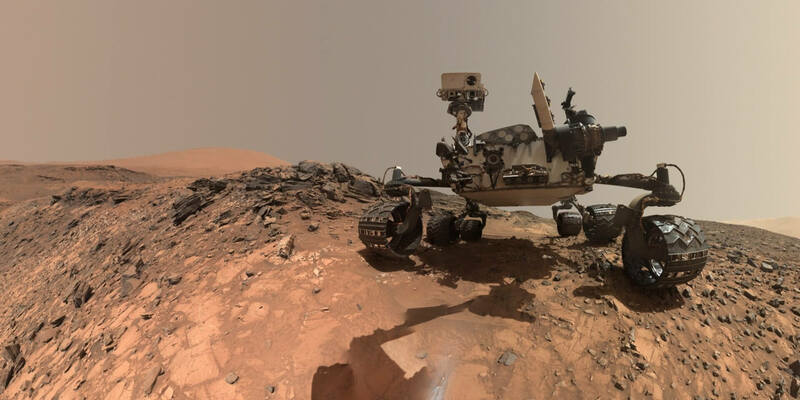 In the meantime, scientists are trying to stay positive, creating a Mars-themed Spotify playlist — featuring “Wake Me Up Before You Go-Go” by Wham!, “Rocket Man” by Elton John, among others — and an office pool to help pass the time.